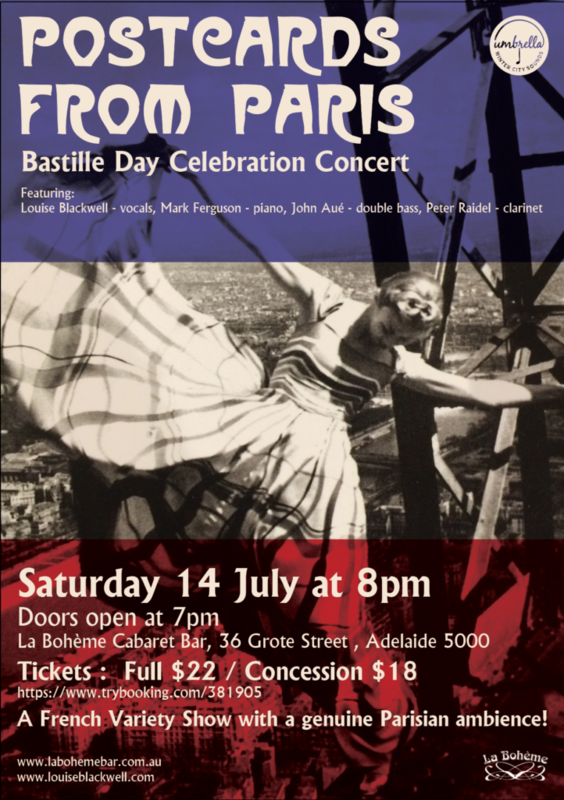 CD Launch at the 2019 Adelaide Fringe. 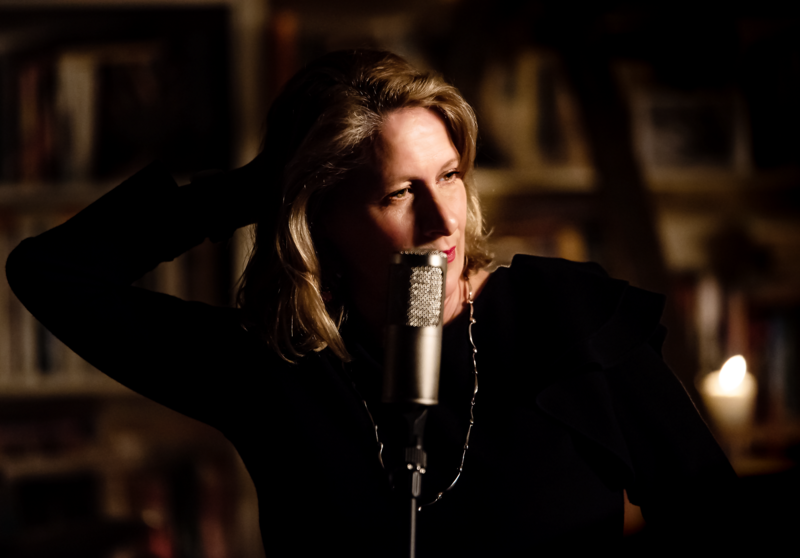 2018 Fringe Weekly Award winners for Music, Adelaide chanteuse Louise Blackwell and the French Set are back to perform songs from the new CD of their hit show A NIGHT IN PARIS. Accompanied by a six-piece band of some of Adelaide’s finest musicians featuring Mark Simeon Ferguson on piano, Julian Ferraretto on violin, John Aue on double bass, Gary Isaacs on guitar, Joshua Baldwin on drums and Alex Taylor on brass, Louise takes the audience on a night out in Paris with a wonderful selection of songs by a variety of artists from French popular music of the twentieth century such as Frehel, Lucienne Boyer, Edith Piaf, Leo Ferre, Georges Brassens, Boris Vian, Juliette Greco, Barbara, Serge Gainsbourg and more. “…a chanteuse of inimitable style and full of joie de vivre…” Broadway World. Here is our brand new clip straight out of the oven: Le Petit Commerce ‘The Small Business’ by Alain Goraguer (music)and Boris Vian (words), here played by Louise Blackwell and the French Set…filmed by David Tang, Emma McGavisk and lovely crew at Red Fox Films….recorded at Chapel Lane Studios by Simon Kither, mixed by Andrew Bignell and Gary Isaacs at Balhannah Recording Studios SA, mastered by Neville Clark at Disk-Edits…. 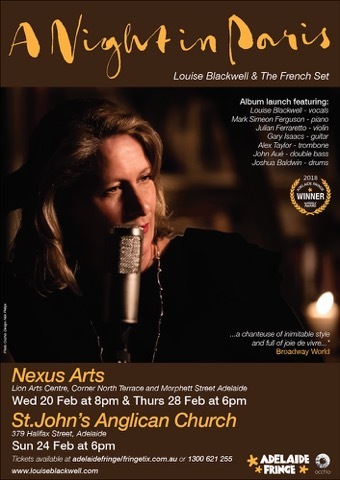 Serge Gainsbourg’s La Javanaise as performed by Louise Blackwell and the French Set featuring Mark Simeon Ferguson on piano, Julian Ferraretto on violin, John Aué on double bass, Gary Isaacs on guitar and Joshua Baldwin on drums. Filmed in Adelaide by David Tang and Emma McGavisk at Red Fox Films. Audio recorded by Simon Kither at Chapel Lane Studios. Mixed by Andrew Bignall at Balhannah Recording Studios, South Australia and mastered by Neville Clark at Disk-Edits, Adelaide. A French Variety Show with a genuine Parisian ambience!